Equity mutual funds continued to receive robust fund inflows in February 2018 despite reintroduction of the long-term capital gains tax in the FY18-19 Union Budget and a volatile month, reflecting investors' commitment to long-term investments. Equity mutual funds continued to receive robust fund inflows in February 2018 despite reintroduction of the long-term capital gains (LTCG) tax in the Union Budget for FY18-19 and a volatile month, thus reflecting investors' commitment to long-term investments. Equity mutual funds and ELSS funds received a net inflow of ~Rs14,680cr in February 2018, a growth of 10% mom and 169% yoy. During FY18 (till February), mutual funds and ELSS funds saw net inflows of ~Rs1.6 lakh crore against ~Rs62,000cr recorded in the corresponding period of FY17, as the equity market was making new highs every month. Meanwhile, balanced funds have witnessed a decline in inflows in February 2018 against the previous month. However, balanced funds received net inflows of ~Rs83,000cr during FY18 (till February) as compared to ~Rs30,600cr recorded in the corresponding period of the previous fiscal. Income funds and Gilt funds continued to witness net outflows as bond yields rose continuously in fear of a rise in inflation and fiscal slippage. As on March 9, 2018, 10-year government bond was trading at a yield of 7.7%, up ~119bps in last 6 months. Liquid funds have seen a modest net inflow of ~Rs1,200cr in February 2018 compared to a significant net inflow of Rs96,500cr in January 2018. Further, there is a phenomenon in liquid funds that they witness huge net outflow in December and similar inflows in January each year, as shown in the chart below). This is because corporates withdraw their money from liquid funds in December, before the quarter ends, and reinvest in January every year. Corporates are the largest investors in liquid funds. However, this phenomenon was not seen in 2016-17, which could be due demonetization (November 2016). In February 2018, the AUM of the Indian mutual fund industry stood at Rs22.2 lakh crore, down ~Rs20,900cr due to outflows from debt funds. Since the Indian equity market has entered a phase of consolidation fearing four rate hikes in the US in 2018, rising crude oil prices, increasing bond yields and uncovered frauds at state-owned banks, investors should focus on the longevity of investments. 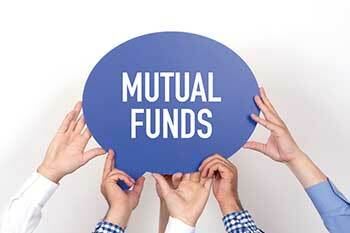 In debt mutual funds, investors should invest in low duration debt funds since the fear of a rise in inflation could drag the returns of Gilt funds and long-term debt funds in 2018.